A few weeks ago, we had a really strong wind come through our neighborhood. It only lasted about 10 minutes, but that was all it took to destroy the townhome across the street from us. A huge tree fell across the driveway and went through the roof. It turned out that the elderly couple that rented the townhome had run out to the drug store on a whim. If they had been playing board games in their usual place in the living room, they would have been killed. As Christians, they thankfully acknowledged that the Lord had spared their lives – an amazing testimony. Unfortunately, the Lord did not spare their home or their belongings. The tree took down a power line as it fell on the roof, and the walls were unstable. The firefighters were able to turn off the power to the line as well as the home’s electricity, reducing the likelihood of a fire or explosion. However, it was too dangerous for the family to go into the home to retrieve their belongings. The firefighters were able to locate the lady’s purse and a small bag of medications. Everything else – clothes, furniture, photo albums, paperwork – was destroyed when the roof collapsed or by the rain that came through the roof over the next few days. To make matters worse, they didn’t have renters insurance, so nothing was covered. I have a bachelor’s degree in Risk Management and Insurance, and I have worked in the insurance industry since high school – in insurance agencies, on the consumer helpline at the state, and now as a risk analyst at an insurance company. As a professional and a neighbor, I truly hated to see this couple suffer such a loss – and I want to help you avoid this situation. Now that it’s August, many of you will be moving to start a new school semester or a new job. You never know when something is going to happen, so be smart and protect yourself. One important way to do that is to get renters insurance. If you live in a dorm, you may still be covered under your parents’ homeowners insurance policy. Ask them to check for you. If you live with a friend or rent an apartment, condo, house, townhome, or mobile home, you are not automatically covered on anyone else’s policy. Congratulations on your independence! Now, read below to learn how renters insurance can help you keep it that way. First, the bottom line: renters insurance typically costs between $14 – 20 a month, which is totally doable. If you have auto insurance, you can probably get a discount if you carry your renters insurance with them, too, which can further reduce the impact on your wallet. Renters Insurance actually covers quite a bit. Belongings / Contents – When we think of renters insurance, we think of our stuff – clothes, furniture, computer, iPhone, tablet, etc. Policies can cover (insure) these items up to a certain value, such as $20,000. However, there are often limits for certain items, such as computers and TVs, so you need to make sure the policy limits are high enough to cover your specialty items. Even though it’s a bit more expensive, I always suggest getting “replacement cost coverage.” This means that if something, such as your TV, is damaged or stolen you can get enough money to pay for a new one, not just the value of the old one. Pay attention to where your contents would be covered. For example, some policies may cover your belongings anywhere in the world, so if you lose your luggage on your trip to Spain, you could claim it on your renters policy. You may even have coverage if your bike is stolen while parked at school. Also, look for when your belongings are covered. Policies typically provide coverage if your belongings are damaged in a storm (like my neighbors). However, it may not cover your belongings if there is a flood; this is called an “exclusion” in the policy. Additional Living Expenses – When our neighbors’ townhome was destroyed, they were able to stay with family. However, if they had renters insurance, it would have paid for them to stay in a hotel for a while. It would have also covered other additional expenses, such as having to eat out more often. Liability and Medical Payments – Things happen. Your friend rolls off your yoga balance ball and breaks her nose; a guest trips over your new shag rug and sprains a toe; your dog bites the pizza delivery guy – and they all want you to pay for their medical expenses, lost wages, etc. Fortunately, renters insurance usually includes coverage to help with these type of expenses. It’s a great way to help keep your friends, keep your money in the bank, and avoid getting sued. 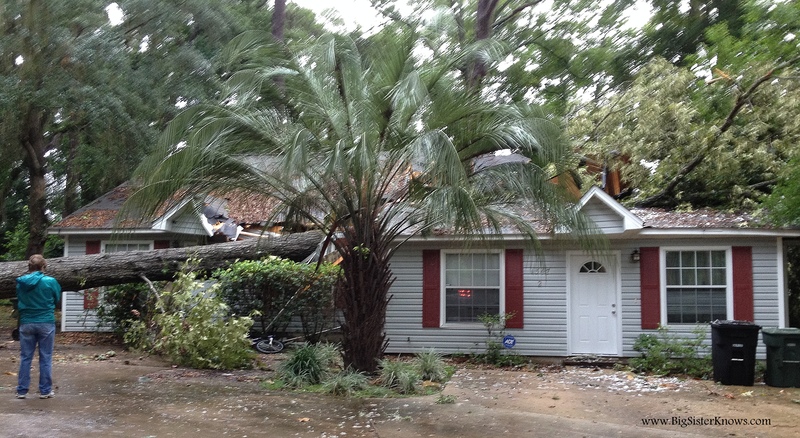 If you live in Florida, I recommend the Renter’s Insurance page at www.myfloridacfo.com for more details. If you live out of state, you can reach out to you department of insurance. To find a policy that is right for you, you can search online, call the company that insures your car, or just call an insurance agency located near you. Great tips! I love how you tied in the scripture. It pays to be prepared. Thanks for sharing this timely information!